Boston comedian rising star Dave russo, clean corporate comedian and corporate comedians for hire. Do you recommend Dave Russo? Dave Russo is a Boston comedian< like no other. He's a diminutive guy with a big voice, who's high energy act never fails to leave audiences doubled over in laughter. Dave has yet to meet a crowd that he can't win over with his charm and upbeat attitude. His quick wit and clever improvisation skills keep audiences on their toes, never sure where Dave's mind will ricochet to next. His artful storytelling, combined with his flair for theatrics, has entertained audiences around the country. After winning the first annual Boston Comedy Festival, Dave caught the attention of Mr. Las Vegas, Wayne Newton, who hand selected the young comic out of thousands to appear on his reality TV show “The Entertainer.” A regular in the Boston comedy scene, Dave has performed in Las Vegas and some of the best clubs in New York and L.A.
Dave also performs regularly for the troops, appearing with the U.S.O. 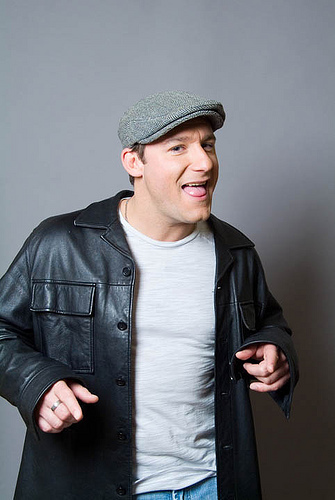 He has appeared on Comedy Central, NBC's The Today Show, Phantom Gourmet, and was selected by the producer of NBC's “Last Coming Standing” to perform on NESN's Comedy All-Stars. In 2010, Dave began producing and hosting the Wicked Funny Comedy Tour, a comedy series on NESN's Dirty Water TV, where he provided a showcase of funniest and brightest comics in Boston. Dave has appeared on Comedy Central, NBC's The Today Show, Phantom Gourmet, and was selected by the producer of NBC's “Last Coming Standing” to perform on NESN's Comedy All-Stars. Dave also regularly performs for the troops, appearing regularly with the USO. Dave has worked with comic heavyweights Lenny Clark, Dave Chappelle, Lewis Black and Steven Wright. 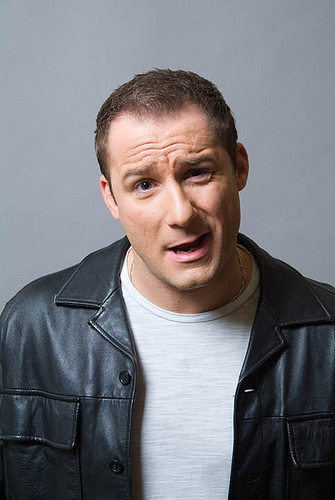 Dave Russo One of the Funniest Boston comedians, can be seen Hosting NESN's Dirty Water TV, or at any of the Premier Comedy Clubs in The Boston Area like Giggles, Kowloon, or The Comedy Cantina. Being a corporate Boston comedian, and producing corporate comedy events means you have to be able to adapt to so many different types of people from CEO's down to the mail room sorter. Coming up with corporate event ideas and party ideas is Dave russo's gift, he finds entertainers and clean comedians, making it a corporate event production. It requires a lot of talent to be able to cater to everyone from grand ma to grandson. There are many corporate Boston comedians and entertainers who can entertain to wide range of people while being clean and hilarious. 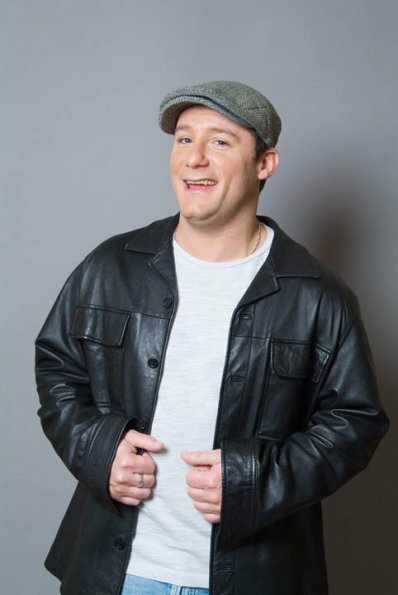 Dave Russo is one of those Boston comedians, he will keep a room full of nursing home patients mixed with a fraternity and a mothers against drunk drivers convention, laughing all night. If your looking for a corporate comedian then hire Boston corporate comedian, Dave Russo, to plan your corporate event production and entertain your share holders, or employees or maybe you need to corporate comedian entertain your christmas party, or New years Event, Super bowl party, 4th of july extravaganza. Whatever the event production is needed for , Dave Russo is the man to contact first. 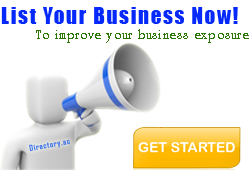 Your Dave Russo reviews help others learn about this business nature. Best reviews about Dave Russo are passionate and personal. They offer a rich narrative, a wealth of detail, and a helpful tips for other Dave Russo customers. Please don't review Dave Russo if you received a freebie for writing this review about Dave Russo, or if you're connected in any way to the owner or employees of Dave Russo.